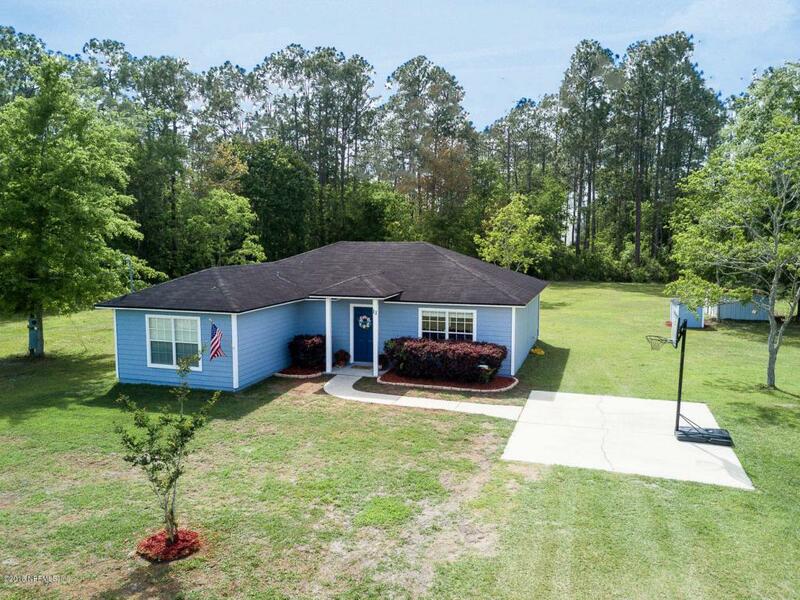 You don't want to miss this charming 3 bedroom 2 bath one owner home situated on 1.14 acres. This home shows pride in ownership and has been maticulously maintained. Enter into a large open concept family room and kitchen combo that is nicely appointed with plenty of natural light and wood laminate flooring. Large master bedroom and plenty of closet space throughout the home. Experience country living on the large one acre lot with plenty of room for the children to play. Great opportunity for a country quiet setting in a great area. © 2019 Northeast Florida Multiple Listing Service, Inc. All rights reserved. The data relating to real estate for sale on this web site comes in part from the Internet Data Exchange (IDX) program of the Northeast Florida Multiple Listing Service, Inc. Real estate listings held by brokerage firms other than EXIT Real Estate Gallery are marked with the listing broker’s name and detailed information about such listings includes the name of the listing brokers. Data provided is deemed reliable but is not guaranteed. Data last updated 2019-04-19T22:25:15.787.